All Post Graduate Diploma PGD & Certificate Programs applicants are required to supply their High School transcripts, copy of diploma, along with any other relevant college transcripts. Admission Office handles all applications to Certificates and Post Graduate Diploma Programs. Language Proficiency Exams are needed from all applicants and are related to the language of the selected program available in English, French, Spanish, German, Italian, Arabic, Chinese, Japanese, Korean, Russian, and Turkish. All exams are conducted online through ECC and are free of charge. Exam instructions will be provided after the application approval. Canadian & American Applicants with CEGEP Diplomas or College Equivalents from other Canadian Provinces or States within USA need to provide a scanned copy of their diplomas and transcripts. North American applicants with university bachelors or higher degrees obtained in an English speaking university will not need to complete English Language Proficiency Exams. Quebec applicants that have completed their university studies in French will not require passing French Language Proficiency Exams. International candidates who hold the equivalent of Canada or U.S.A bachelor’s degree are also encouraged to apply. Transcripts are required & International Degree Evaluations are necessary steps of admissions. If not in English, French or Spanish, documents translations are needed. Mature Students Bridge Program is for Candidates who have attended college but not graduated with bachelor degrees (incomplete programs). They may apply for advanced standing in completing their Post Graduate Diplomas and receiving credits to complete their bachelor degrees at an ECC affiliated University. All applications and supporting documents must be submitted online. If applying for than one program, one application is enough for all programs. Multiple applications will not be processed. 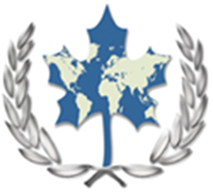 Financial Aid & Scholarships are available through TESOL Canada Scholarship. Application Deadlines are different for each semester; please contact admissions office for specific deadline on each program. Register Online using the application form below. Complete the following application form and submit the supporting material. Online courses have a start date, end date and deadlines for assignments that must be respected. Language Proficiency Exams will be conducted on appointment basis. Final Board Exams will be evaluated within two weeks after their submission. After successful completion of the final test, once a graduate becomes a TESOL Canada Accredited Member, members are expected to abide by TESOL Code of Professional Ethics specified at TESOL Teachers Manual. Graduates are committed to professionalism during their teaching career & must be free of criminal records. Students agree that their assignments and research projects completed during their studies at ECC can be considered as Education Canada College Archived Files. “ECC Archived Files” may be published and become accessible through online ECC Journals to further educational development of all students. Education Canada College is committed to Personal Information Protection Act & will never share personal information of its students and graduates with any other organization without prior consent of individuals. However, list of graduates and year of their graduation will be displayed online. There is $300 registration & application fee added to the cost of all programs. The Registration fee & the Final Board Exam fee is 100% non-refundable. Students who fail their Final Board Exams are not eligible for a refund. Online classes shall be followed at student’s availability and at his/her own pace, however assignments must be submitted before their deadlines and course shall be completed within three to six months after the start date. After receiving e-Books and online study material, courses are non refundable and cancelations are not allowed.